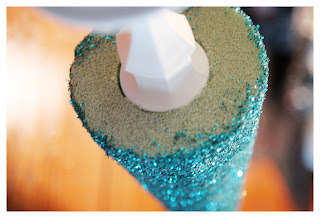 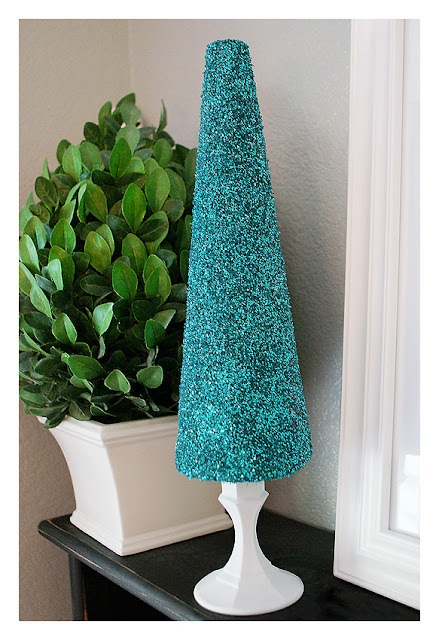 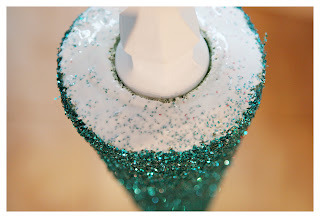 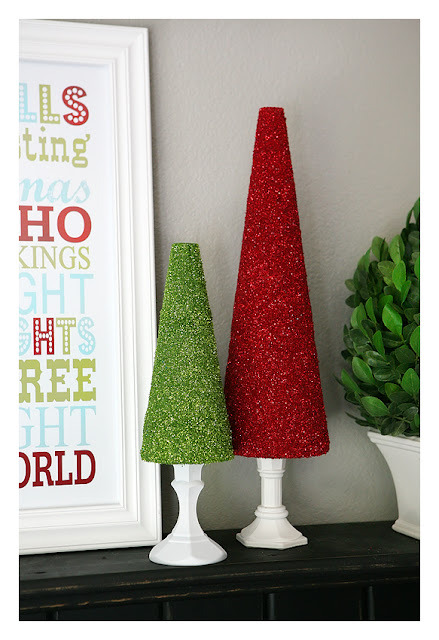 I Heart Nap Time's blog is kicking off the beginning of December with some excellent Glitter Trees that are amazing decor and eye candy. Check out their page for more holiday DIY! - give your tree a good coating of the spray adhesive. 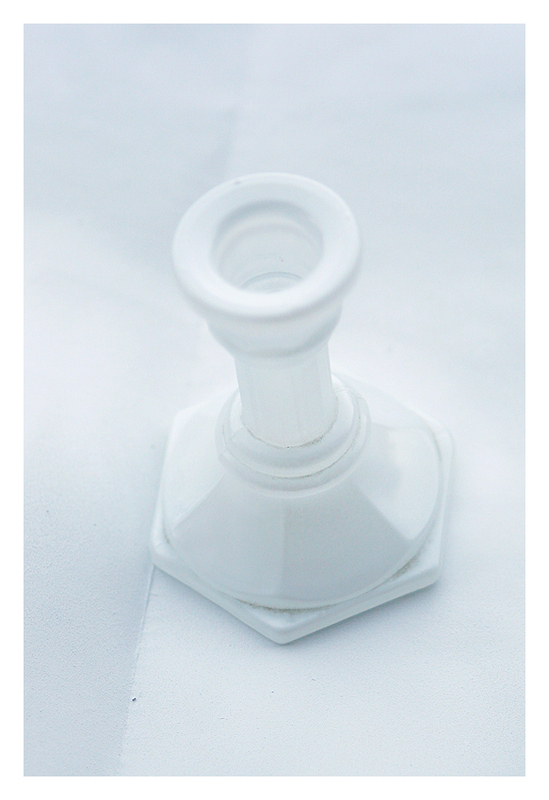 you can use the elmers glue for this part, but the spray adhesive covers better and gives a nice smooth finish, plus it’s a lot faster. 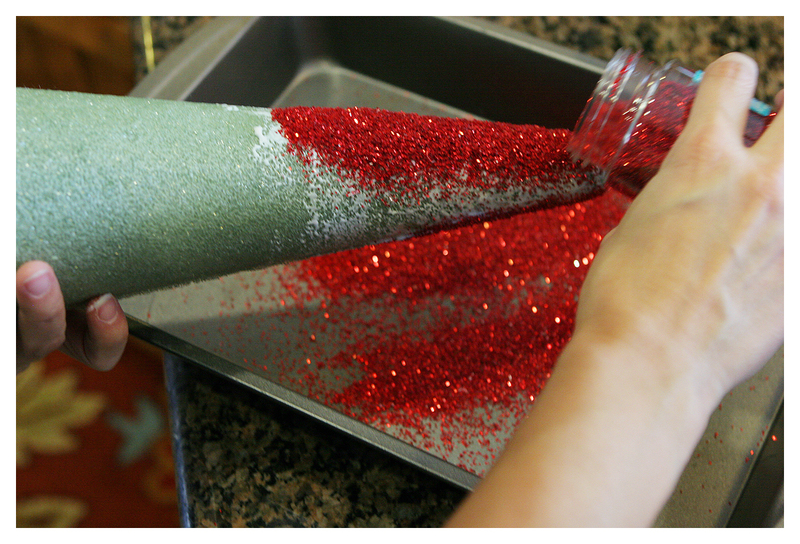 leave the bottom of the tree undone, this will get glittered at the end. 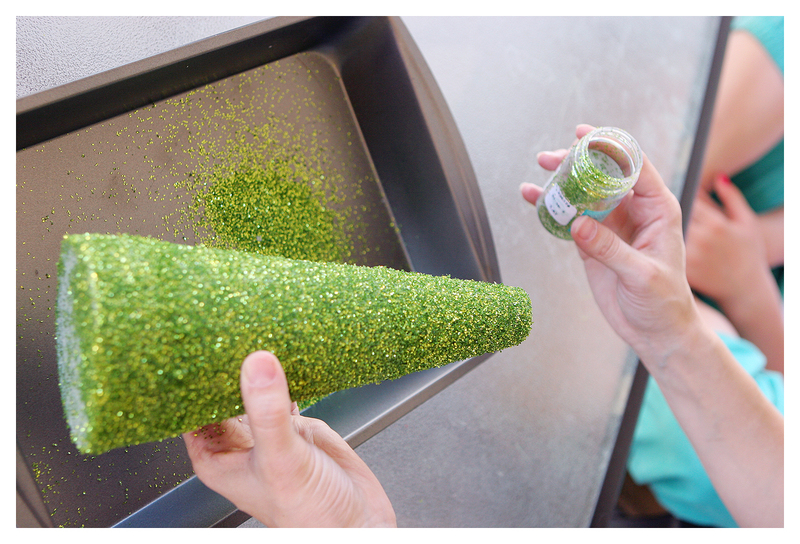 - once you have your tree coated in glue, cover it completely with glitter.﻿ when all 3 trees have been glitterized set them aside to dry. 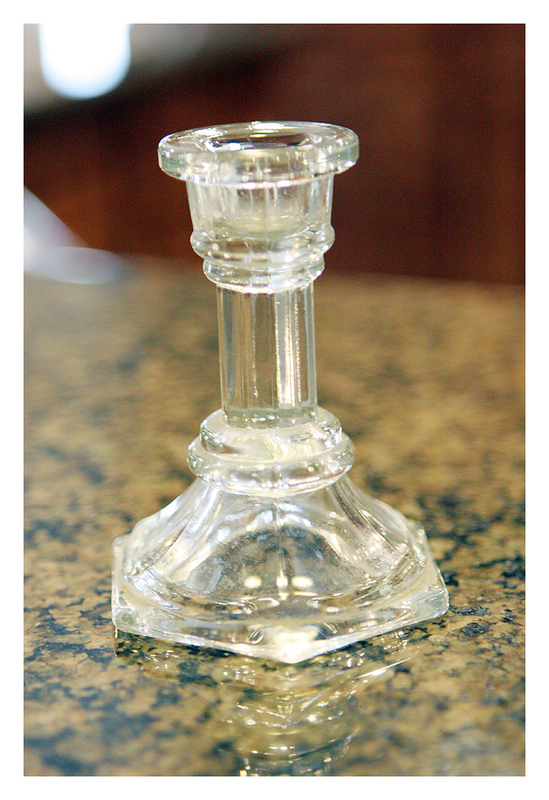 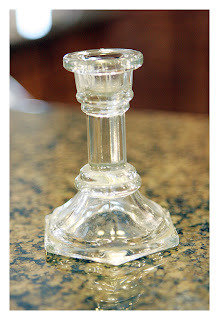 - next take your 3 candlesticks and give them a couple quick coats of white spray paint. 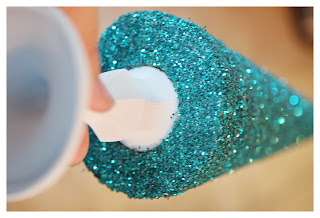 then let those dry completely. - then all you have left to do is decide where to put them! !